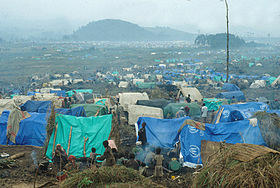 Refugee camps are the ultimate destination of those that are caught unprepared in a natural disaster area or a war zone. As of mid-2014, over 50 million people, half of whom are children, are displaced and considered refugees. Unfortunately, since the numbers grow every day, those numbers are continually expanding. As these refugees are forced by nature or man to flee for their lives, the majority end up in refugee encampments where the threat to health, life and even liberty is further increased. Housing – All too often shelter consists of scraps of wood and metal haphazardly thrown together in what quickly turns into a crowded slum. Without ventilation, lights, heat or even a chimney, and a roof that leaks, the one-room shelters quickly become a breeding ground for mold, malaria and other diseases common in crowded conditions. Food – Without exception food is in short supply at all refugee camps, resulting in chronic malnutrition, which ultimately leads to illness and disease. It also serves to keep the refugees too weak to protest their conditions. 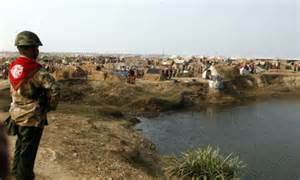 Water – The UN reports that 50% of the refugee encampments around the world are unable to provide adequate clean water. Sanitation – Along with inadequate clean water, most camps lack proper disposal facilities for human waste, many lacking even simple latrines or outhouses. Disease – Crowded conditions and inadequate food, potable water and waste disposal means that outbreaks of cholera are quite common. Additionally, refugees become ill with diarrhea, respiratory ailments and bacterial infections, as well as conditions associated with deficiencies in vitamins and minerals due to lack of food. Lack of freedom – Upon arriving at an organized camp, refugees must register and will usually receive some type of proof of ID, which is used to get food rations. Guards with guns patrol the perimeter, not to prevent unlawful entry, but to prevent refugees…detainees?...from leaving. Boredom – While some refugees get inventive and try to grow gardens to supplement their food, most camps lack seeds and the rain necessary to grow them. Combine that with inadequate nutrition and crowded conditions and overworked camp administrators, and there is not much to do all day. Crime – The lack of food leads to outright theft, as well as some people sneaking out to re-enter to register under a new name to obtain a second food ration card. Really? Did you read about the conditions in the New Orleans stadium in the aftermath of Katrina? The conditions were terrible and it was basically a spontaneous refugee shelter. 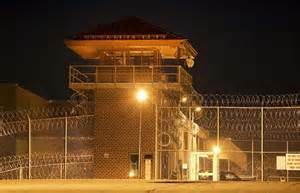 Also, if reports are to be believed, FEMA has numerous...hundreds upon hundreds of refugee detention camps spread throughout the United States. Now, whether this is true or not is up to you to decide, but history has shown that in the aftermath of a disaster where people are forced out of their homes, the government is going to put them somewhere. In the aftermath of Katrina, people whose homes were not damaged or in danger, were still forced by troops to abandon their homes. So when you prepare, also be prepared to bug out ahead of a forced evacuation where you might end up in a Government-run facility. Think about this: if the Big One were to hit California at the same time as a mega-earthquake strikes the New Madrid fault line in the center of the country, while another Katrina hits the Gulf…where would all the refugees go? If FEMA is stretched so thin that it cannot respond in force to more than one disaster area, is it possible people will be herded into central locations? 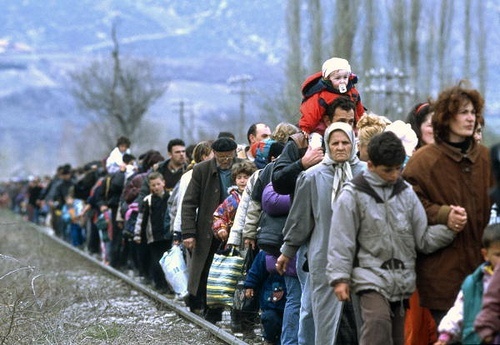 Do you want to be among those forced into one of these refugee camps? If the answer is “no”, then you might want to do what you can to prepare right now to care for you and yours without having to throw yourself on the “mercy” of the Government.